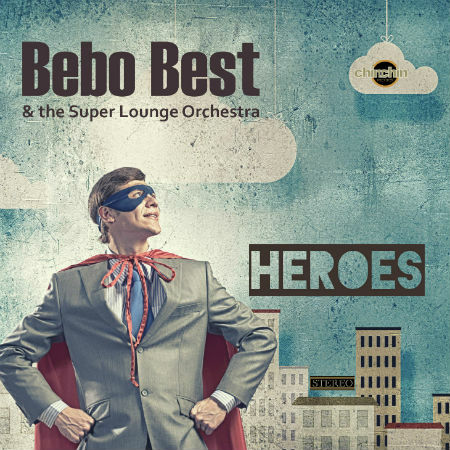 Nu jazz / bossanova outfit Bebo Best & The Super Lounge Orchestra have just released new single “Heroes“, which is their homage to the famous song by David Bowie, and anticipates the band’s upcoming new album “JazzMamba” scheduled to hit stores in October on Chin Chin Records. “Heroes” is released alongside a remix by top italian producer Paolo Visnadi who was in the World charts in the 90s electronic-house scene with innovative projects like Livin’ Joy and Alex Party. The remix is accompanied by a brand new video which uses footage by Martin Scorsese, while the original version of the song is mixed by Magnetic4. Both versions of “Heroes” display a cool summer vibe which will delight all listeners and fans of ‘the white duke’ alike! Just press play, sit back and feel the love!